Double sided Japanese cloth carpet tape with a very aggressive soft rubber base. The product is ideal for rough/textured surfaces. Used extensively for joining PE sheeting, holding down/joining textured surfaces. Industries we sell to include advertising, point-of-sale signage and display. High performance, high tack adhesive. 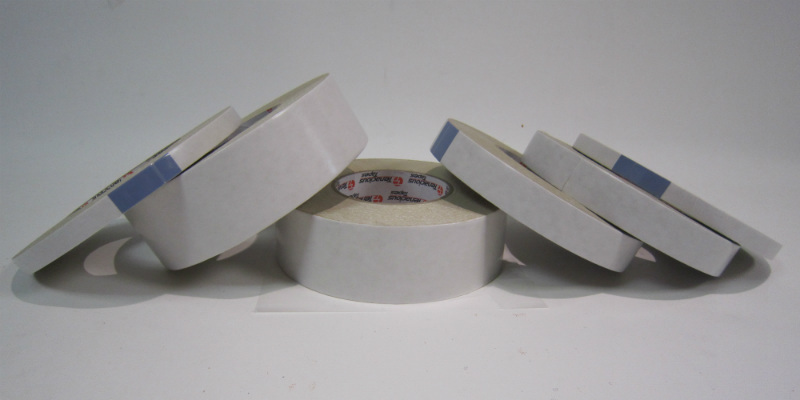 Tape thickness 0.41mm. Colour: Beige. 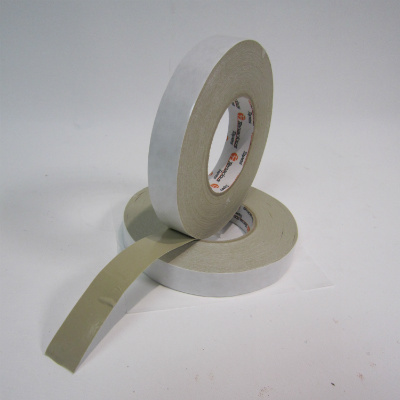 Commonly used in temporary laying of carpet and floor coverings in exhibition halls and comes up clean when pulling up tape. Does not leave any residue. 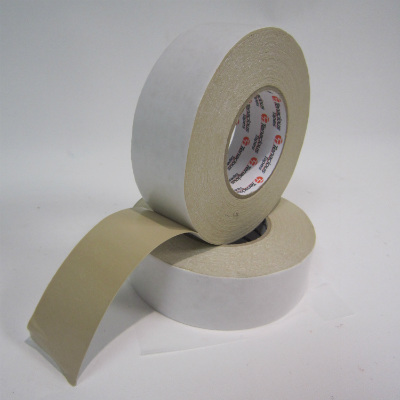 Tape thickness 0.41mm. Please contact us for pricing of volume discount offers or for any further information required.